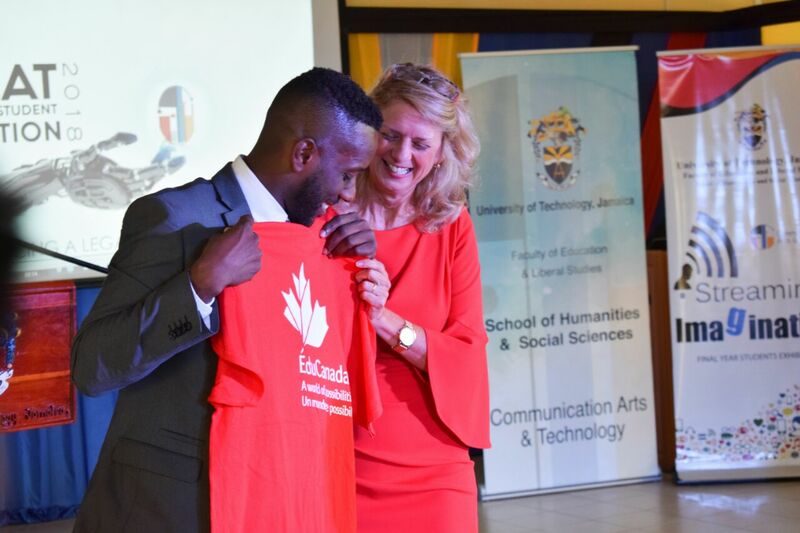 Guest speaker, Canadian High Commissioner to Jamaica, Laurie Peters, receives a gift from Chevauni Blair, a final year student of the University of Technology Jamaica at the launch of the final year student exhibition of the BA Communication Arts and Technology programme at the Papine campus of the University of Technology, Jamaica on May 3 2018. 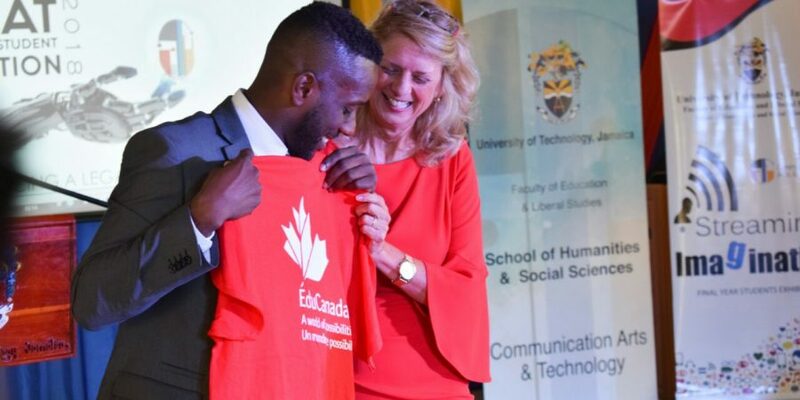 Archibald Gordon receiving an “EduCanada” T-shirt from Her Excellency, Canadian High Commissioner to Jamaica Laurie Peters at the launch of the final year student exhibition of the BA Communication Arts and Technology programme at the Papine campus of the University of Technology, Jamaica on May 3 2018. Also in attendance was broadcasting journalist and Secretary of the Press Association of Jamaica Archibald Gordon, who was the function’s Master of Ceremonies. 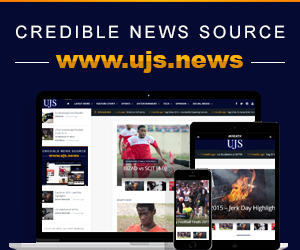 He used the platform to express a few concerns about modern journalism both in Jamaica and around the world. Mr. Gordon focused on the importance of investigative journalism and the relevance it still holds in today’s society. He recalled the recent news reporting of ten journalists who were killed in Kabul, Afghanistan earlier this week and stated how many journalists put their lives at risk in a quest to unearth the truth. A minute’s silence was subsequently held in remembrance of these journalists. 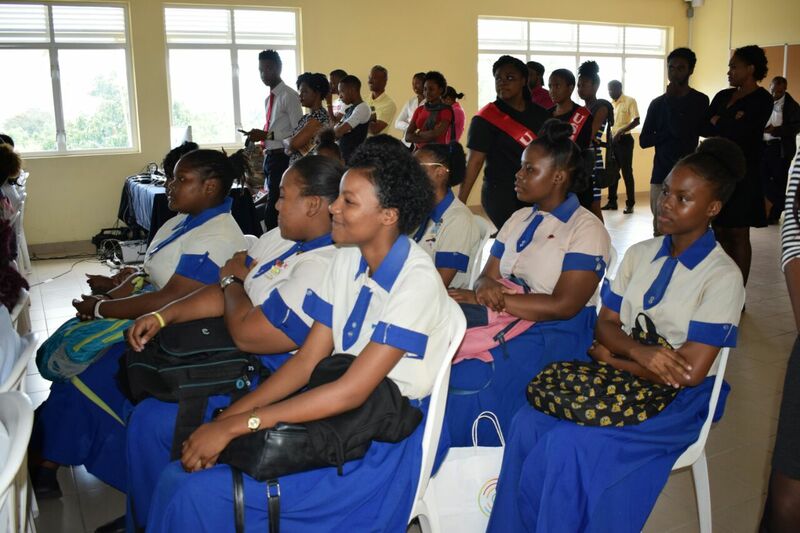 Members of the Holy Childhood High School for girls listen keenly during the ceremony prior to the annual BACAT Final Year Student Exhibition at the launch of the final year student exhibition of the BA Communication Arts and Technology programme at the Papine campus of the University of Technology, Jamaica on May 3 2018. 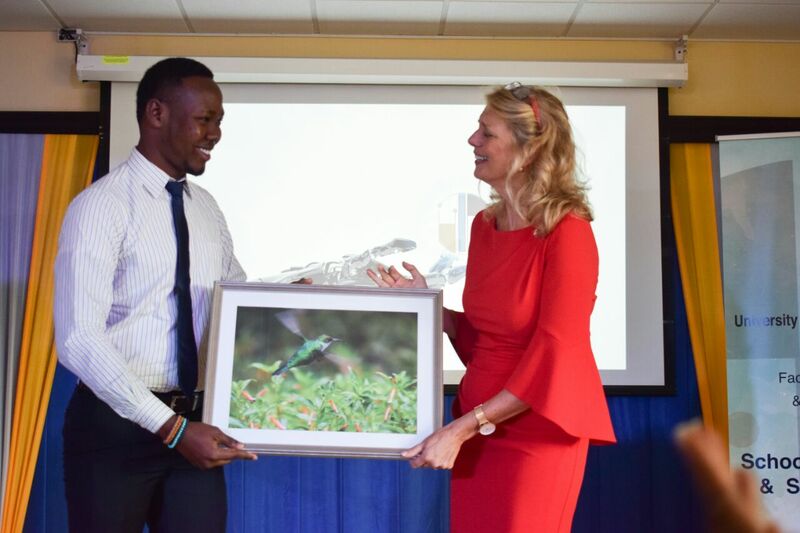 The event showcased the talent of the final year BACAT students and is an interesting preview of what Jamaica’s creative industry will be like in a few years to come. Students from the faculty as well as from specially invited schools such as Mona High and Holy Childhood High were in attendance.